Summer doesn’t officially start until June 21st, but the Memorial Day weekend seems to be the kickoff for summer activities. There is so much outdoor fun to be had in Utah. Before the accident, we enjoyed camping, horseback riding, bicycling, hiking, boating and waterskiing. We love being outdoors, but since the accident left Mark wheelchair dependent and epileptic– those activities are next to impossible, so now we find summer enjoyment in different ways. With Mark in his power chair, we take a stroll along the Jordan River trail. We love the mountains, lakes and the ocean, but adore them from our van, taking long drives to and around them whenever possible. 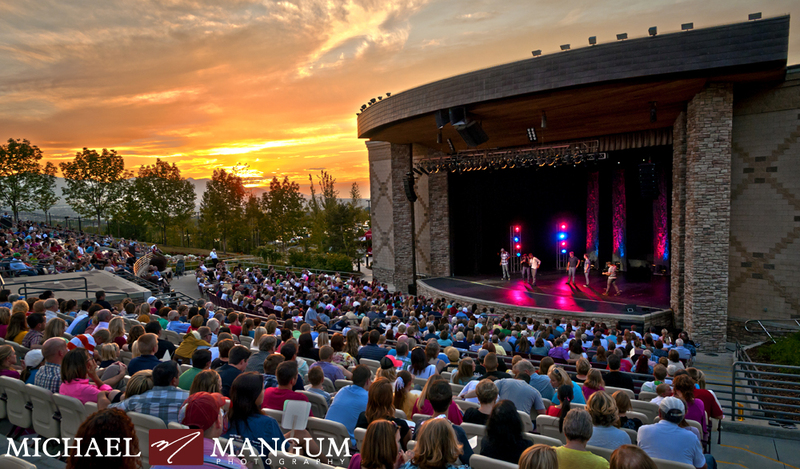 One of our favorite events is outdoor summer concerts and plays. For several years now we’ve gotten season tickets to the Sandy Amphitheater. The location is close and with the backdrop of the beautiful Wasatch Mountains it makes the perfect venue spot. We enjoy the season’s entertainment with my brother, Steve, and friend, Susan. Their company adds pleasure to every event. Last night was the first for the year and Hotel California, a tribute Eagles band, played. Their sound was great and we appreciated their talent. What a wonderful start for a fun summer. We are blessed with friends that make sure we get some kind of adventure every year. Last year we were surprised with a Mercedes Benz convertible ride. The sports car was low to the ground and the door opening was small, which made transferring Mark into the passenger seat difficult. It took two men to lift Mark up and slide him into the seat. You know they are true friends when they go to that much effort for a short ride. We took a drive around the neighborhood hoping someone would see us in this first class vehicle. The ride made us feel like a million dollars. 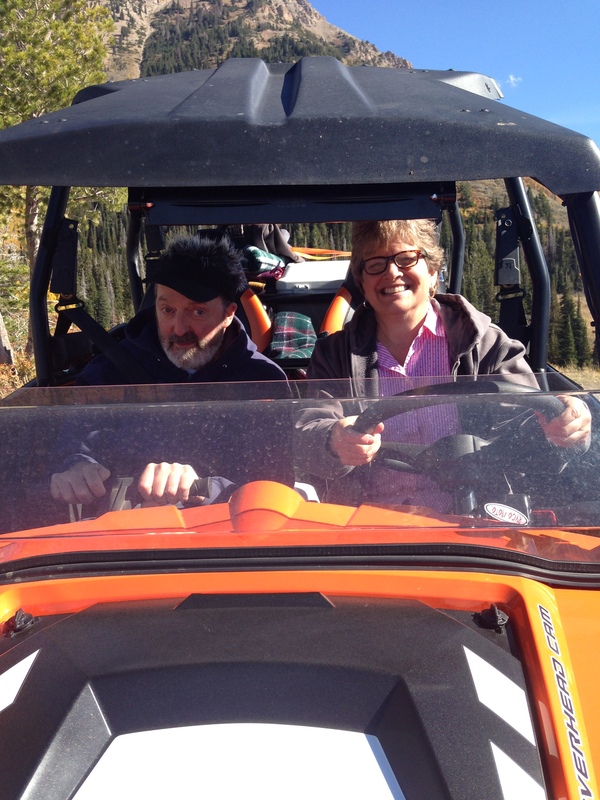 Later that summer we enjoyed our first Razor ride in the mountains. Again, it took two men to get Mark in the passenger seat, but their efforts were well worth it. We had an adventurous afternoon exploring trials which wouldn’t have been possible in our van. Gorgeous mountains and scenery along with wonderful company were the makings for a terrific day and memory. A few summers ago, I took regular early morning bike rides with my friend, Michelle. One ride particularly stands out as a humorous memory. Michelle is several years younger than I and in perfect shape, but I didn’t let that stop me from going with her. I’m sure I had to peddle twice as hard just to keep up. On those rare occasions when I stayed in the lead, we ended up in crazy places because I was laboring too hard to notice the “No Trespassing” signs. One morning I thought I’d found the perfect shortcut home. Michelle reluctantly followed hollering, “I think we‘re on a golf course.” I looked around and thought, maybe she’s right, but it’s early in the morning with no golfers in sight. As you might guess, I have never golfed or been on a golf course. Impressed with the acres of beauty and paved trail, I wanted to see more! Forging further into the scenic golf course as fast as I could, I reasoned that golfing isn’t an energetic sport, so surely we’d be able to dodge any wayward balls if they happened to fly. Besides, no golfer would be out this early, I foolishly thought. Noticing the “Security” sign on his cart and the appearance of steam coming out of his ears, I thought it best to look astonished. “Oh really, we were just riding along the Jordan River trail and thought we’d take this shortcut back home.” As I said it, it sounded as insane as it was. My pride instantly turned to embarrassment as the security guard pointed to where we came from. He spoke quietly and didn’t mince words, while his actions spoke loud and clear. “You have to go back,” he said under his breath, while moving his cart towards us. I knew he meant what he said and realized he just might be tempted to run right over us. Immediately we peddled as fast as we could while he chased us right back to where we came from. We crossed over the bridge to the natural, untamed side of the river and I looked back at the security guard watching us from the beautifully groomed side of the bridge. No further words were needed, but the nod of his head and scowl of his face said, Don’t you dare come back this way. We don’t take many vacations anymore, but these activities are a great diversion from the regular routine of life. Even when I find myself on the wrong side of the bridge, it’s always a good time when I’m with family and friends. Too many decisions and things that need doin’, leaves me overwhelmed and ready to drop somethin’. Feelin’ inundated with things is no fun—why is this cat in the hat smilin’? Today I visited Dr. Seuss because he has a way of puttin’ the fun back into life and lifting my spirits on those dreary days. Just a few thoughts from, Oh, The Places You’ll Go! I feel better already. Thank you Dr. Seuss. Please feel free to add your favorite quotes from Dr. Seuss in the comments. Just as there are multiple health problems, there is a diversity of caregivers. For the last 12 1/2 years of Arlette’s life she lived with her son, Klint, and his wife, Rosanne. When I asked my sister, Rosanne, if she’d like to be a guest author on Uniting Caregivers, she said, “I don’t feel like I’ve been a caregiver.” I was shocked. I’ve heard those same words from others and it’s like fingernails running down a chalkboard to me. If you care and you give to another, you are a caregiver! We all have varying responsibilities as caregivers, but just because yours are different than mine doesn’t mean you’re not a caregiver. A parent taking care of children is a caregiver. Likewise, a child overseeing their elderly, or sick parent is a caregiver. A friend taking dinner or driving you to an appointment when you can’t do it for yourself is a caregiver. Fortunately, I see caregivers everywhere. Rosanne and Klint both work full time running a family music business. When Arlette was no longer safe to live in her own home, they invited her to live with them. They fixed a room and bathroom for her. It was a great benefit not only for Arlette, but for Rosanne and Klint along with their children, two of which were teenagers at the time. It was wonderful to watch this family grow in love and service as they cared for and watched over Arlette for many years. To make their caregiving journey work they shared the responsibility. Arlette had professional aides who came to their home to assist her with exercises, meals and bathing, but there was so much more that went into her care. What are some responsibilities of a caregiver? Full or partial assistance in transferring from bed into wheelchair or from wheelchair to car etc. A caregiver may have all these responsibilities or just one or two of them. Some may serve as home health aide or assist and manage the professional aides. 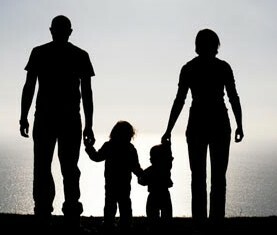 Some may be companions, while others have to take over the duties their loved one used to do, at the same time meeting the needs of other family members. Whatever your responsibilities are, as a caregiver, you make a huge difference in another person’s life. Your influence affects how your loved one deals with their illness or limitations. Your encouragement and support greatly impacts another life. Hopefully, appreciation is openly expressed for any and all your efforts. Gratitude is often the only pay and may be sufficient if it’s given often. I’m thankful for all the caregivers in my life and grateful for their example. What caregiving responsibilities did I miss and/or what do you find most rewarding about your journey? Today’s guest author is my sister who shared the opportunity with her husband, Klint, in caring for his mother for more than twelve years. Thank you Rosanne for sharing your thoughts and feelings on this Memorial Day weekend. This Memorial Day we have one more grave to visit. These travels are actually a walk down memory lane. I have spoken and unspoken remembrances along with feelings, which are buried, not in the grave, but embedded deep inside my soul. Father in Heaven blessed our lives with memory, which contains our loved ones who have passed on. Any representation to preserve their memory is cherished. We write down their quotations, retell their stories, compile books, and even build monuments to their name. In commemoration each year we set aside a day for remembrance – Memorial Day. With due respect for any child who has lost a Mother, I too, hold her fond remembrance close to my heart. I too, miss her physical presence. I too, have plenty of things missing now that she is gone. But just how far away is she really? I believe the spirit world is not out in some remote part of the great cosmos, but is right here on earth. The spirits of our departed loved ones are in reality among us. We are here and they are there. What separates us now? What clouds our view? I believe it’s not a wall, but a thin veil which can be penetrated when God deems it necessary. I believe just beyond this veil our loved ones, now departed, can still know and understand our thoughts, feelings and motions. I believe on the other side of the veil they still may be working with us, or should I say for us. 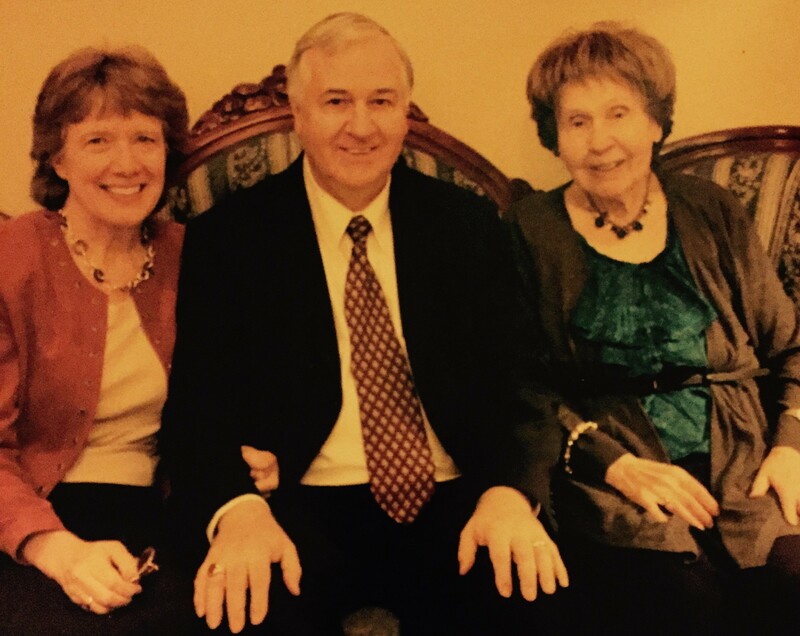 Since the passing of our mother, Arlette Day, I have felt this assurance . . . she is not far away and still interested in my well-being. She was my career mentor for nearly 30 years. During this time she trained me to run our family music business, which she founded. She helped raise my children, as all good mothers do, with their years of wisdom. She lived with us for the past 12 1/2 years until, as she would put it, she “took off to the other side.” She passed away at age 98 1/2 That’s a long time to have her good influence in my life. Mom’s guidance is still with me, yet in another form. She is still inspiring, prompting and motivating me in many happy ways. It’s hard to explain, but my business work load is lighter, even though I still do the same things, I can now do them much quicker. I understand complex problems more clearly. My contacts with other people are more meaningful and I can hear what they meant to say. My organizing is more thorough. I am completing tasks, which have been undone for years. My confidence is stronger. My decisions are quicker. Challenges in my life, which I thought were going to be nearly impossible, have already come to a conclusion and have been resolved. After taking her to the restroom and back again, she told me she had not slept a wink. This horrible night of anxiety caused her to call out in her mind (because she did not want to awake us) for Dad, now her deceased husband, to come take her home. It wasn’t her time to go just yet. However, he still did answer her call and came to her aid through me. Had I seen his face I would have recognized him. However, his gentle ways did revealed himself to me, as I’ve thought back on this experience. Yes, the veil is very thin at times. She did “take off” a few days later and I felt the rejoicing beyond the veil. I could not cry. In fact, I felt more like dancing with those on the other side. She passed away at 10:10 p.m. While we waited for the mortician, I wrote this poem on that sacred night and emailed it just after midnight to my children and other family members to announce her passing. I’ve worked on it a little more for this blog and changed it some for a slightly better read – I hope. To pick up our dear angel mother. On wings of songs herald by others. Though our arms are empty to be sure. To that place on “Glad Paradise” shore. Standing ready to hold her most dear. Pouring generously out to our place. With each ebb flow’s purpose to fulfill. God’s currents further stretch us still. “You can do it! Keep paddlin’ up stream. Which paddled through storms until very late. Good news! Come rest! Refresh your life’s charms! Whenever I see my own light dimming making my world feel lonely, dark and scary, someone comes along and brightens the way for me. 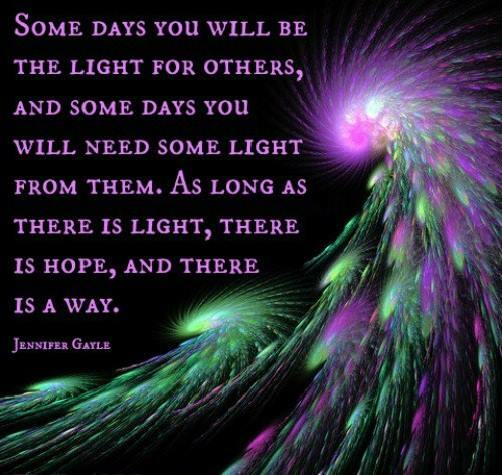 I’m grateful for family and friends who give me light which helps me conquer the darkness. I hope you have like persons in your life who share their sunshine and rekindle yours. I do believe as long as there is light, there is hope and there is a way. My best days are the ones I can be the light for others. I’ve been spoiled for the past two weeks. Friends and family have made the anxious recovery time enjoyable by bringing in meals, cookies, flowers and a visit. My brother and employer, Steve, not only spent the first night by my side, but has come every day to make sure I’m well and has covered much of my employment responsibilities. I’ve also had Katie’s constant watchful eye. All these blessings have helped me heal quicker and better than I expected. I was dreading the recovery time, worried that I’d be hovering over Mark, his personal aide and Katie. How could anyone else take good enough care of him? I’ve learned Mark can be in good hands other than my own. When Katie realized I needed surgery, she immediately offered to come and help. I didn’t want to burden her, so I thanked her and declined the offer. She is a self-employed, busy, graphic designer plus she volunteers in four different organizations right now. 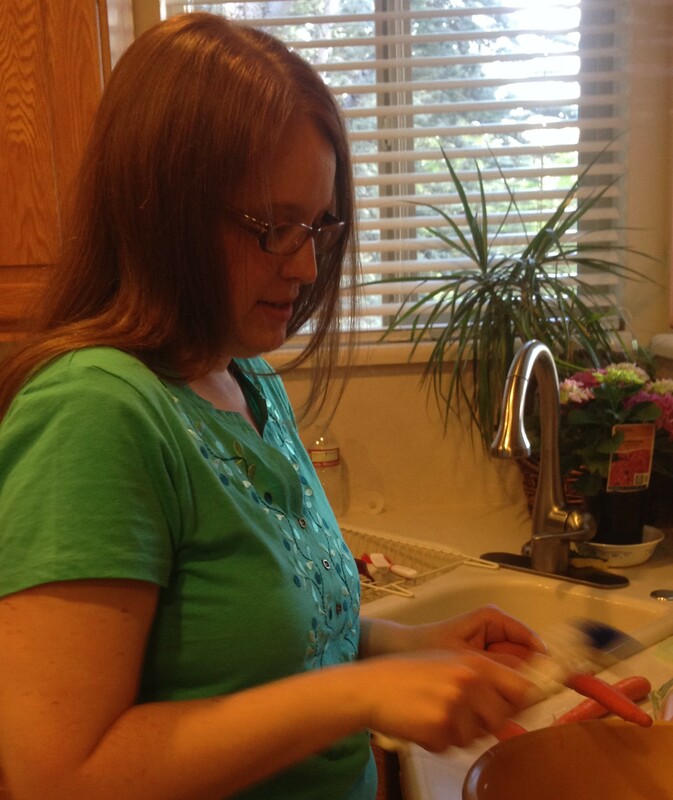 Eldin, her husband, is a great supporter of Katie, but he is a busy bishop in addition to his full-time job. Since our son lives in Washington State, I didn’t feel it would be fair for her to carry this load on her own. After interviewing three aides who weren’t able to fulfill our needs for one reason or another, Katie offered her help again. 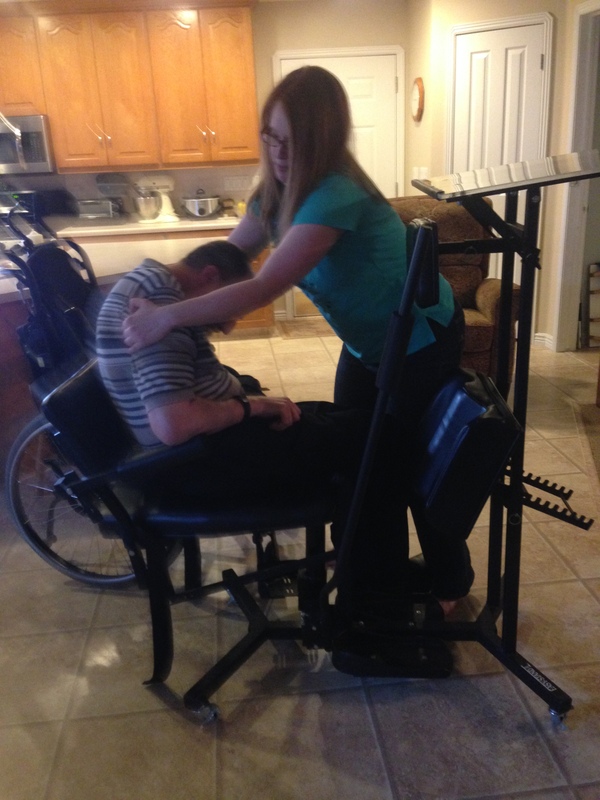 Being a protective mom and wanting to preserve the father/daughter relationship, I’ve never given Katie the opportunity to have the hands on routine of transferring her dad from the bed to the wheelchair, showering and other personal care tasks. I knew she’d be capable, but I didn’t want to add caregiver to her many other responsibilities. I realize now I was denying her the blessings that come from caregiving. In these two weeks we’ve learned a lot. It’s a joy to watch Katie and Mark interact with one another. It’s evident to me when you serve someone, your love somehow grows. I never imagine she could be more thoughtful and kind, but somehow she is. I never believe she would love us more, but somehow she does.I don’t understand why this is or how it works. It reminds me of when I was pregnant and I wondered how I could have room in my heart to love and care for another baby. When she arrived, my heart magically grew and right from the start, I loved her every bit as much as my first baby.This growing magic continues throughout life as different nurturing experiences arise. It’s a beautiful part of life. Before the surgery, I paid two neighborhood boys to help move some furniture and make a separate bedroom for me in the front part of the house which was originally my office. In this room I can’t see or hear Mark and can completely rest without any worries. Since Katie is here most of the day and night I can relax, confident that Mark is cared for. I hired a shower aide to come every other day for Mark. She also helps him with his exercises. This not only lightens Katie’s load, but keeps her from having to do the personal care which would be awkward for their father/daughter relationship. Having others who know Mark’s needs and understand his routine is a bigger relief to me than I had imagined. Mark can be in good hands other than my own. Accept help from family and friends and enjoy the love that grows from it. Nurturing is a beautiful part of life. Share the blessing. Make it easy and comfortable for those who are assisting. Look for the good and realize tasks can be done differently. Appreciate the efforts of another, even when they don’t do things the way you do. 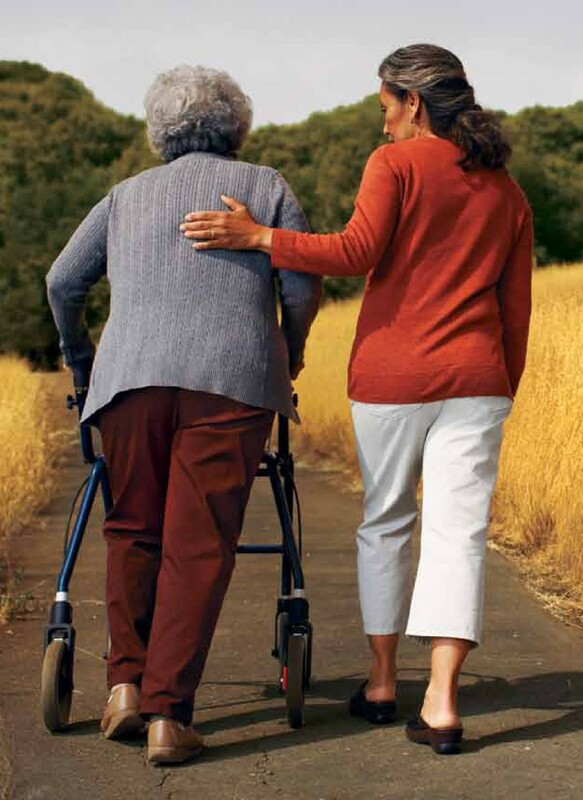 Having others who know the caregiver’s routine is a great benefit in case of emergency or for caregiver respite. I’m enjoying and appreciating all the help we’re receiving. Many hands do make light work and it has allowed me to get the needed rest for a speedy recovery. To all my family and friends—Thank You! My successful hernia surgery was performed Tuesday, May 5, 2015. 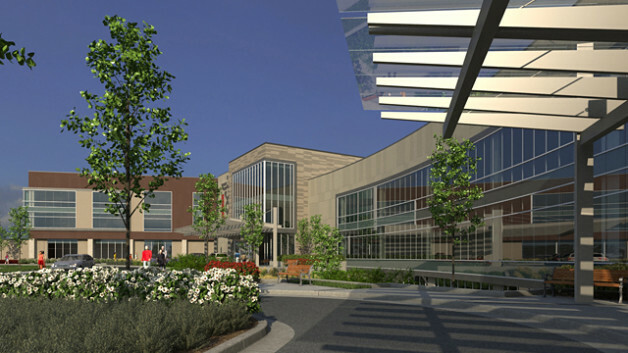 My sister-in-law, Dianne, took me to the new and beautiful U of U hospital located in Daybreak. After checking in and the dreaded weight scale, they directed me to a nice room. Unlike the older hospitals I’ve been in where the surgery waiting area is one large room with several beds in it with each bed sectioned off by curtains, I was directed to a small private room with a sliding glass door which was covered by a pulled curtain. I was handed a bag, asked to remove all my clothing and to put on this new wardrobe. I opened the bag and found a cap for my hair, some footsies and the traditional gown with only one snap for the entire open back. I thought about refusing because the gown was not only ugly, but disgustingly immodest. I’ve seen patients walking down the hallway in those silly outfits holding the back parts of the gown together with all the strength their weakened and awkward arms had while trying to manage an attached I.V. All I could think about was how ridiculous those gowns look. I’m normally not a vogue kind of gal, but these gowns are beneath even me. Finally, I came to my senses and remembered I was there for surgery, not a fashion show and changed into their requested attire. To compensate for the lack of apparel, the nurse offered the beloved warm blanket, which is the most comfortable part of any hospital stay. Dianne and I only had time for a short visit before the nurse came in and started my I.V. I met the anesthesiologist for the first time. “Yes, thirty-one years ago,” I said. “I got nauseated,” I explained. “Thanks,” I said, relieved there was something to offset those horrible symptoms. “So I guess this means I’ll have abs of mesh,” I asked with a chuckle. She smiled, took her marker and drew on the lower part of my abdomen where the incision would be. I started feeling drowsy, but had one last request: “Please take out all the extra fatty tissue.” I remember her stating that was a common request as they pushed my bed towards the operating room, which I have no recollection of ever entering. She put a straw to my lips and I took a drink and started feeling nauseated. She shot something into my I.V. and said it would help, but it didn’t. The nurse kept talking to me and I took that to mean my nap had been long enough. I supposed they wanted me to wake up and go home, so I tried to cooperate. The more awake I became, the more nauseated I felt. Anxious to get the ride home over with, I asked Dianne to help me get dressed. What seemed to be thirty minutes was in reality six hours, which isn’t long when you consider the prep, surgery and recovery time. The nurse pushed me in a wheelchair to the front door with pain and nausea prescriptions in hand. 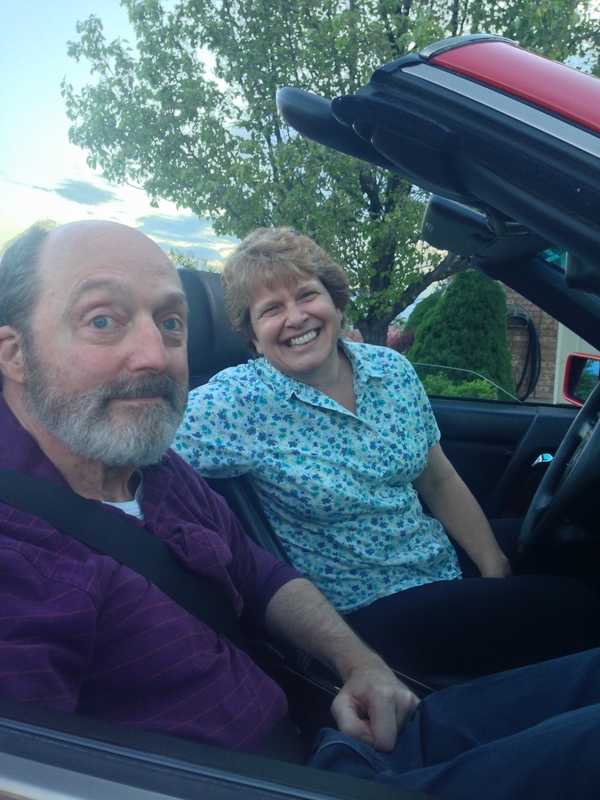 Dianne pulled her car up to the front door and they both helped me get seated and belted in for the short drive home. Before I knew it I was in the comfort of my own home, greeted by Mark and our daughter, Katie, who proved to be the best nurse I’d had all day. She waited on my every need and quickly cleaned and replaced my barf bowls. It was the worst part of the surgery. I do not hold my anesthesia well and it was two days before I felt like I could hold down any food. I didn’t dare take my pain medication for fear it would only make me feel worse and the nausea medication given did nothing for me as far as I could tell. My recovery after those two days has been comparably easy. The pain hasn’t been bad as long as I refrain from sneezing, coughing or laughing, which isn’t easy when you live with Mark, Katie, Eldin and their dog, Lizzy. I’m hoping when my swelling goes down I’ll see that the doctor did as I asked in removing all unwanted fatty tissue. When my six week healing period is up I’ll be anxious to turn my abs of mesh into abs of steel.